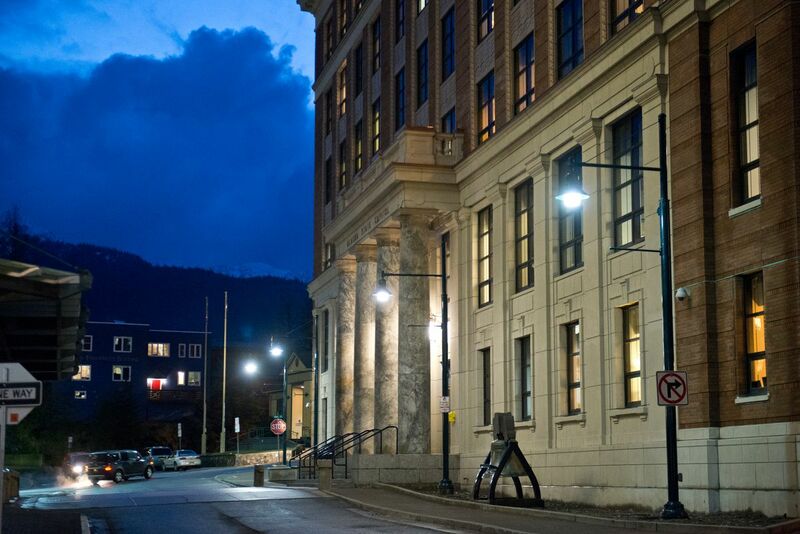 The Alaska Legislature passed a late-night deal Saturday to end cash payments to oil companies, beating a midnight deadline to end its special session with an hour to spare. The House vote was 33-6 and the Senate's was 18-0, in actions that both came after 10:30 p.m. Saturday. There was no public or industry testimony on the legislation, House Bill 111, which emerged at a joint House-Senate conference committee meeting earlier in the evening after hours of delays. There was also no agreement on what would come next for lawmakers, who have been meeting continuously since January and have struggled to reach agreements on legislation to reduce the state's $2.5 billion deficit, as well as on Alaska's annual spending plans. The Senate, just before its 11:58 p.m. adjournment Saturday, voted 17-1 to invite the House into another special session to address the still-pending state capital budget. But the House didn't take up the question, which to pass requires 40 votes from the 60 lawmakers split between the two chambers. Alaska Gov. Bill Walker, who has the power to call a special session himself, said in a prepared statement that lawmakers need to present him with a compromise on the capital budget before he's ready to use that authority. The statement said Walker has been assured that the Legislature will reach a compromise on the capital budget before July 31. If a bill is approved by then, that would make it one month late, since Alaska's fiscal year started July 1. This year is the first in decades that the capital budget hasn't been approved on time, and the Alaska Department of Transportation and Public Facilities has said the delay will set back construction projects. The oil tax bill, once it's signed by Walker, would eliminate the cash payments, which were made at 35 percent of companies' losses, retroactively July 1. Only companies with less than 50,000 barrels of daily oil production were eligible — meaning that the state's largest producers, such as ExxonMobil, BP and ConocoPhillips, couldn't claim the payments. The cash payment system was originally set up to encourage new companies to develop oil fields in Alaska. But that was before cratering oil prices blew a multibillion-dollar hole in the state budget. Lawmakers and Walker now say that eliminating the cash payment program is necessary to stop companies from claiming hundreds of millions of dollars year amid the state's $2.5 billion deficit. The legislation will add about $150 million to the state's bottom line each year over the long term, according to projections from Walker's administration. It allows companies to claim tax deductions instead of the cash, though those deductions can only be applied once a project starts producing oil and therefore owes taxes. The legislation would begin to reduce the value of companies' deductions by 10 percent annually after a certain period of time — seven years if the project has started producing oil, and 10 years if it hasn't. That provision was a concession to the largely-Democratic House majority caucus, which had pushed to make the replacement program of tax deductions less valuable to companies, and less costly for the state, than the cash payments.